Using ground penetrating radar, a team of archaeologists has uncovered a tunnel dug by Jewish concentration camp prisoners to escape the Nazis. 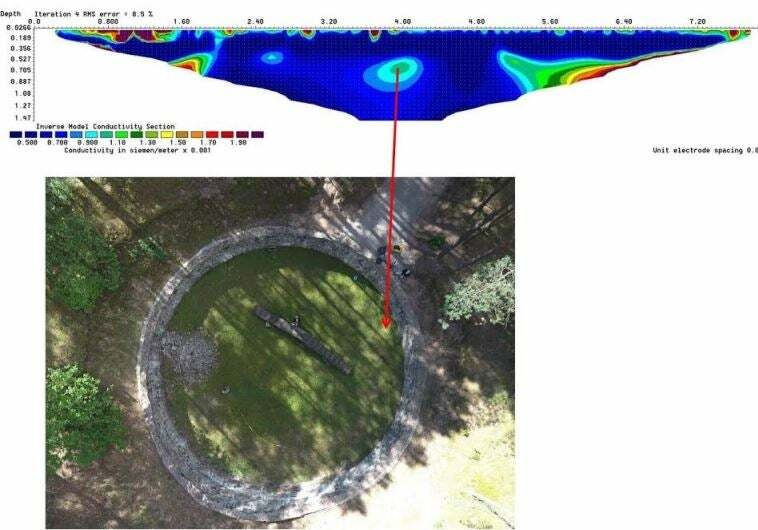 An archaeological team led by Richard Freund from the University of Harvard and Jon Seligman from the Israel Antiquities Authority discovered the existence of the tunnel at Ponar, a suburb of Vilnius. The tunnel measures 100-feet long and ranges in depth to between five to nine feet below the surface. The discovery affirms survivor accounts of desperate prisoners digging a tunnel by hand to escape execution. Archaeologists have been trying to find this historic tunnel for years. Its mouth was reportedly discovered in 2002, but nothing further came of it. Using ground penetrating radar (GPR) and electrical resistivity tomography (ERT), its existence has finally been confirmed. In addition to the tunnel, the researchers uncovered a previously unknown burial bit contained the ashes of an estimated 7,000 people. That’s now the twelfth pit discovered at Ponar. During the Second World War, between 80,000 to 100,000 residents of Vilna—including 70,000 Jews—were killed during the Ponary Massacre. The executions took place in Lithuania between July 1941 and August 1944 near the railway station of Ponary, which is known today as Paneriai. Over the course of four years, residents were systematically marched to holding pits where they were shot at close range by the dreaded SS Einsatzkommandos. Their bodies, many of them naked, were then tossed into mass graves. This phase of the Holocaust pre-dates the Nazi extermination camps in which gas was used instead of bullets. Approximately half of the 11 million Jews killed during the Shoah were killed in this way. Most of the Ponari killings happened before 1942, after which time the Germans preferred to use Jews as slave workers. But as things turned sour on the Eastern Front, the Nazis established a unit to hide traces of the massacre. 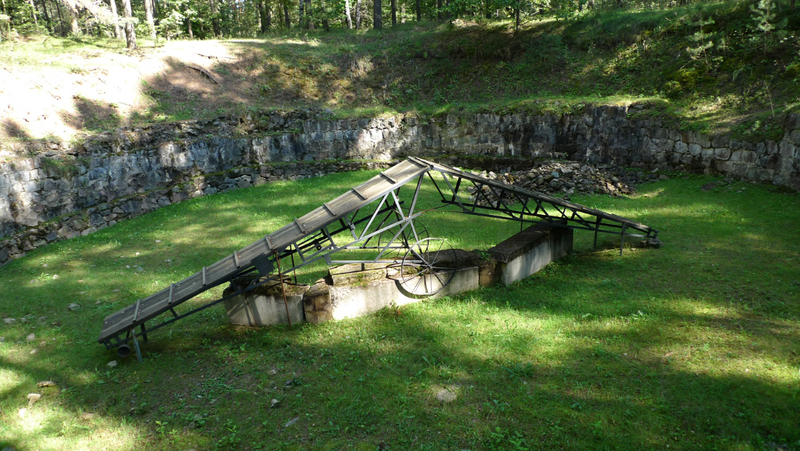 Eighty inmates were rounded up from the nearby Stutthof concentration camp, and were organised into so-called “corpse units.” Chained to each other, they were forced to dig up the corpses and burn them. These prisoners were held-up in a giant pit at night. Knowing full well they would be executed once their grim task was complete, the inmates began to dig the tunnel. Over the course of three months they chipped away at the dirt. On April 15th, 1944, they made their escape. After sawing their chains off with a file, some 40 inmates escaped through the tunnel. The guards quickly caught on to what was happening, and many of the prisoners were recaptured and shot. Only 15 inmates escaped, and only 11 managed to find help and survive the war.